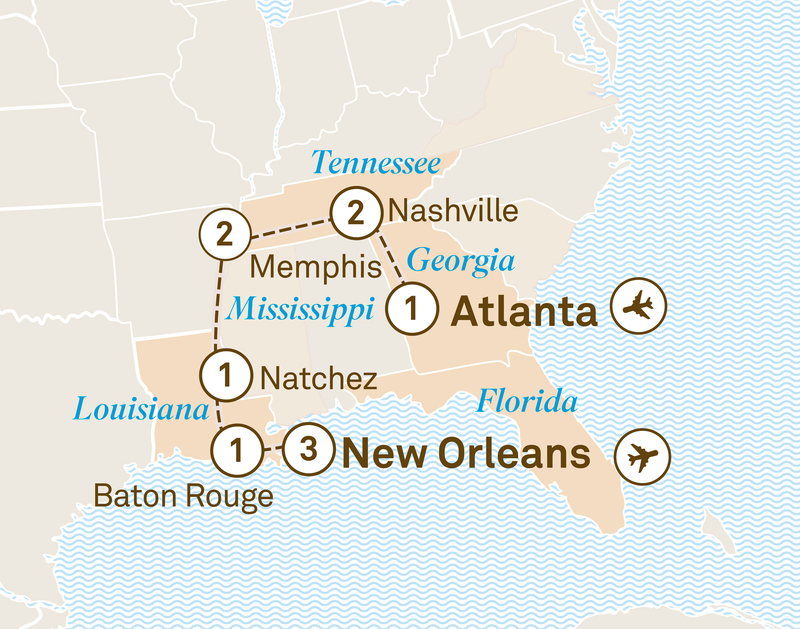 With the charm of America’s Deep South this is an itinerary where laidback meets easy-going. Explore the jewels of the southern United States, from Graceland in Memphis to Nashville’s Grand Ole Opry, and you’ll be left with an abiding sense that you’ve been transported to a place where things move to a very different beat. This is a region where music isn’t just part of the culture, it’s part of the rhythm of daily life. Your wondrous journey comes to an end today in New Orleans.